Japan has a complex gambling law. Under Japan’s Criminal Code Chapter XXIII, gambling is illegal. Those caught engaging in any gambling activity may face imprisonment or pay hefty fines. While betting is illegal, a few exceptions exist including public sports betting, city-wide lotteries or takarakuji, and pachinko. What Are the Betting Regulations in Japan? Betting in lotteries is pretty common in Japan. In fact, the country has office-based lottery pools. An individual will not be held liable if they play in prefectural lotteries or convenience store-bought scratch cards as these fall under the takarakuji law. The law states that takarakuji are possible in 47 prefectures and 12 designated cities. Winners must also give 50% of their prize money to the local government or any chosen charity. Expats who want to engage in Japanese lottery must check with their home country whether their local government has a stake at the winnings. Sports betting in Japan is an entirely different story. Under the Criminal Code, online bookies are not allowed except those foreign bookies that legally operate in the country. Pachinko is a pinball game that serves as a recreational avenue and as a gambling device. Japan is rife with pachinko parlours that almost look like casinos. Since gambling for cash is illegal in Japan, those who win cannot exchange their pachinko balls for money in the parlour. Since the balls have engraved identifiable patterns that show from which parlour they belong, players are not allowed to bring the balls outside the area. Those who win can exchange the balls for tokens, which can be exchanged for cash. More recently, the game evolved to become pachislot or pachislo – a hybrid of slot-machine and pachinko. Casino gambling is an interesting topic to discuss as the Parliament is moving towards opening casinos in Japan in an effort to boost tourism and economy. What Are The Legal Gambling Activities In Japan? Those interested in gambling in the country may want to look into the legal gambling activities such as sports betting. The Japan Racing Association (JRA) serves as the regulatory body of all major races in Japan. It has ten horse race courses and 43 Off-Track Betting (OTB) facilities that allows phone and online betting. While the country also has race tracks that are not under the JRA, many of the heavy bettors focus mainly on JRA tracks due to the quality of the races. Non-JRA tracks may not be part of the Japan Racing Association but they are legal as well. The only difference is that they are under the operations of the local government and races are on the smaller scale. Many experienced bettors also claim that the tracks are below standard than JRA tracks. Playing the lottery is also an enticing gambling activity in Japan since the pot money is tax-free. Bettors should, however, note that they can take home only 45% of the total prize money. As much as 40% goes to the government, 12% to administration expenses, 1% to special welfare, and the rest for operational costs. Toto betting through authorized booths ideally located in convenience shops and gas stations. The country has more than 6,000 toto booths. Betting sheets costs 100 yen per line but payouts can go for as high as 100 million yen. Similar to the lottery, prizes are also non-taxable. Sports betting such as boat and bike racing are also legal in Japan. They are, in fact, controlled by the government as they can get about 25% of the pot money. Where Can I Legally Gamble In Japan? Japan has many betting booths or outlets distributed throughout. The country has more than 12,000 pachinko parlours ideally located near train stations. Lottery tickets can be easily purchased from convenience and department stores also within short distance from train stations. Some automated teller machines (ATMs) are capable of selling lottery tickets. Public races such as bicycle, boat, and motorcycle also have ticket outlets scattered in major cities. Off-Track Betting is also accessible for JRA and non-JRA tracks. 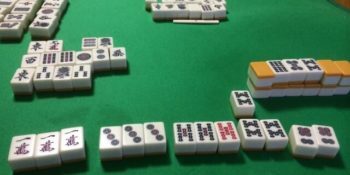 Is Online Poker Legal in Japan? Technically, all card and table games are still prohibited in Japan. The only government-approved types of gambling include sports betting including boat racing, bike racing, and horse racing, mahjong, pachinko, and the prefectural lottery. While poker is technically illegal in Japan, games still exist. Poker tournaments are possible by not offering cash prizes. The All Japan Poker Championship is a popular poker event in the country. To comply with local laws, players do not have to pay entry fee and there is no cash prize. Winner will instead get a seat on the upcoming WSOP. Land-based poker is difficult to find in Japan. The same thing can be said for online poker as they are still considered illegal. However, many Japanese can still play online poker because most of the major international poker sites are hosted in countries where the Parliament has no jurisdiction over. Many of the qualifier and satellite tournaments of major poker events in Japan use online poker sites. Internet poker is slowly gaining a good following in Japan since it serves as an avenue where they can easily enjoy the game. The Japan Poker Association is an officially recognized non-profit organization that aims to inculcate poker into the culture of the Japanese. The organization also serves as the pathway for Japanese poker players to invade the international scene. There are still no legal land-based casinos in Japan as the government just recently passed the law legalizing it. There are, however, illegal underground casinos run by the Yakuza. Many of the illegal casinos in Japan are internet casinos. It surged dramatically due to the growing demand and the ease of operations. Internet casinos do not require much manpower or any special facilities to operate. To make sure that potential players are not undercover cops, operators of these illegal casinos often require customers to present a business or health insurance cards. While these illegal casinos are proliferating, it can be quite hard to track them as they usually move their location to ward off detection by law enforcers. The future of these illegal casinos are now unknown as the government already approved the building of integrated resorts in the country. What Is the Integrated Resort Promotion Law? When it comes to betting and gambling, the tide is changing in Japan. In 2016, the Parliament passed the Integrated Resort Promotion Law. This is will change the entire landscape of gambling in the rather conservative country. Casino gambling will finally become legal given that the gaming floor will be part of a resort complex. The law stipulates that a resort must have an international conference hall, a hotel, and entertainment venues. The law allows the country to issue three casino licenses. It also states that only 30% of the gross profits as gaming tax will go to the central and local government, with the remaining 70% going to the casino operators. The gaming areas within the integrated resort should be limited to only 3% or less of the total floor space of the complex. To curb gambling addiction, Japan residents have to pay an entry fee of 6,000 yen and should visit the casino to three visits a week and 10 a month. Residents need to provide their My Number cards as part of the identification and monitoring of their casino visits. Relatives of gambling addicts can also request casino operators to ban or restrict their entry. International guests and visitors can enter the casino without charge. Three of the largest cities in Japan – Tokyo, Osaka and Yokohama – are highly considered as the location of the first casinos in the country. Passing of the IR law is based on the premise that land-based casinos are great for attracting more tourists to visit the country – something that will eventually boost their economy. The concept of integrated resorts started in Las Vegas. The recent success of Singapore in reviving its economy through casinos roused the interest of Japanese lawmakers hence the passing of the law.